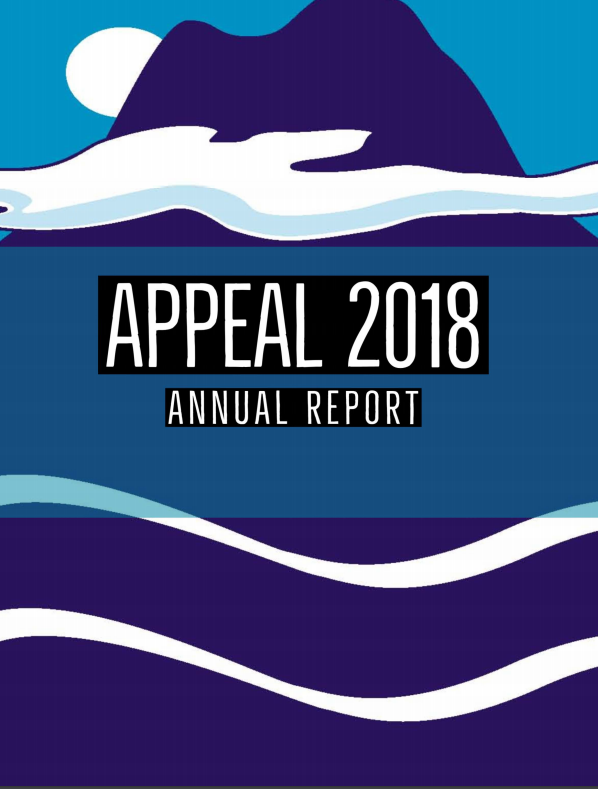 The new year 2019 marks the 25th anniversary of the birth of APPEAL and we have weathered some major challenges both politically and financially. We are excited to have won two new 5-year grants that provide APPEAL with a firmer foundation for the future. This will greatly help us to continue protecting the health and health rights of Asian Americans (AAs) and Native Hawaiians and Pacific Islanders (NHPIs). On the national political front, many attempts to reverse public health gains continue. The Affordable Care Act has been targeted since its passage under the Obama Administration. Proposed changes to the Public Charge coverage was used to threaten the livelihoods of many immigrant families with the potential of taking away all supportive services. Unfortunately, pre-emption of stronger public health laws has become an increasing reality. In California, the Governor signed legislation making it illegal to pass any local sugar sweetened beverage taxes and in Hawaii, a preemption was sneakily added onto a needed dialysis bill, blocking county governments from passing any new tobacco control laws. Clearly, the tobacco and beverage industry continues working against the health interests of our community as well as the public in general. And with this come two critical pieces of data. Native Hawaiian and Pacific Islander middle school youth now have the highest smoking prevalence among all youth in that age group. And the problem of obesity continues to rise among all groups but will particularly impact priority populations, including AAs and NHPIs. This underscores the importance of continuing to be vigilant against industry targeting of our communities, policies that both help and hurt our communities, and building a cadre of new community advocates to continue this fight. Over the years, APPEAL has raised public awareness about the dangers of tobacco, unhealthy eating and inactive lifestyles, and the tobacco and beverage industry’s role in exacerbating health disparities in the AA and NHPI community. We convened the Young Advocates for Change Leadership Summit last September as a first step to renew our leadership core on social justice issues. We thank our community partners for their continued collaboration in working toward fulfilling our mission. We are grateful to those who have financially supported APPEAL and encourage others to think of APPEAL for their end of year giving. Along our journey this past year, we’ve experienced the loss of some of our dearest leaders and friends who’d been with APPEAL since the beginning, leaving us with heavy hearts. But their passing also reminds us of the role that they, with other contributing colleagues, have played in strengthening the APPEAL Network and Family and making our social justice work so vital. Happy Holidays! On behalf of Asian Pacific Partners for Empowerment, Advocacy, and Leadership (APPEAL), I would like to take this opportunity to thank you for supporting our work to fight for health justice in the Asian American, Native Hawaiian, and Pacific Islander communities. We are also writing to ask for your continuing support in building a national health justice movement to prevent tobacco use and eliminate obesity in our communities. 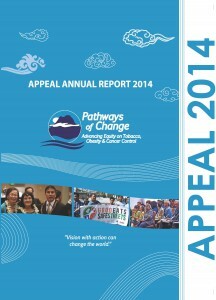 We would like to share with you APPEAL’s 2014 Annual Report, which highlights our many accomplishments in 2014 and strategic directions for 2015. Included are pieces on the convening of APPEAL’s 20th Anniversary Conference, “Pathways of Change: Advancing Equity on Tobacco, Obesity & Cancer Control,” the continuing development of our leadership programs, and the growth of our work in the healthy eating and active living arena. None of these things would have been possible without the support of our APPEAL Family, including friends and partners like yourself. As we continue our work into the coming year, we encourage you to please give generously, as your timely contributions are an investment in the long-term health and well-being of Native Hawaiian, Pacific Islander, and Asian American communities. Please visit our donation page to support AANHPI health in 2015.